An American cheat software creator has been given a lofty fine after his GTA Online antics. According to Torrent Freak, Florida-based Jhonny Perez - developer of the Elusive exploit software for Rockstar’s online game - was found guilty of copyright infringement by a district court in New York. Perez had previously been ordered to cease sale and distribution of Elusive in 2018, to which he complied. 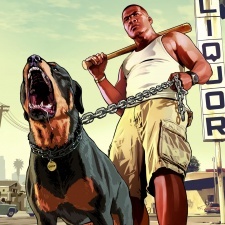 At the time, Take-Two claimed Perez had cost the company $500,000 in damages. But it appears he’s gone radio silence since, with any further requests for contact going nowhere. By abstaining from attending the lawsuit hearing, the court gave the win to Take-Two. Perez has been ordered to pay $150,000 to Take-Two, with an additional $66,868 in attorney’s fees. Torrent Freak claims this may be the highest fine for cheating in a computer game yet. “Take-Two has been irreparably harmed by Mr Perez’s infringing conduct and will continue to be harmed unless enjoined,” said US District Court Judge Kevin Castel.